More books probably have been written about sharks than about any other creatures that live in the sea, so when I opened this one I was skeptical: What could it possibly add? The last decade has revolutionized our understanding of sharks, largely through the marvels of computerized tags attached to sharks’ bodies that let us travel the seas with these beasts and glimpse their world almost as they do. These devices tell us where they are, how deep they dive and what journeys they undertake, some of which span thousands of miles. In “Demon Fish,” Juliet Eilperin circles the world in pursuit of sharks and the people who love and hate them. Her journey goes back more than 1,000 years, to when the Aztecs revered sharks and sawfish. Hundreds-of-years-old accounts show that past oceans teemed with predators. Only a few remote places like Kingman Reef in the mid-Pacific support such numbers today. With an evolutionary legacy 400 million years long, sharks have endured through several mass extinctions. They have seen the dinosaurs come and go, but nothing has prepared them for us. The great white epitomizes the fear and awe that sharks inspire. At up to 20 feet long and as much as 5,000 lbs, it is the emperor of predators. This beast — or at least a rubber model of it — was star of the 1975 movie “Jaws,” a film that preyed on our primordial fears of deep, dark water and unseen predators that strike without warning to eat us alive. Much-publicized footage of great whites leaping clear of the sea in South Africa with shocked seal pups clamped in their jaws has done nothing to allay our fears. Yet computerized tags and painstaking research have thrown up many surprises about great whites. When the seal-breeding season is over, California’s great whites go on vacation in Hawaii. Far from being insatiable predators, they feed irregularly, and during lean times can get by for a month and a half on a single bite. Great white attacks on people are rare, despite the fact that they swim not far from crowded beaches. Most attacks are mistakes, it seems, with a test chew and quick spit, provoked no doubt by our scrawny unpalatability compared to fat young seals. A tiny minority of great whites enjoy the flavor enough to make a meal of some unfortunate swimmer. But in reality, the most dangerous predator by far is us. Eilperin, the national environmental reporter for The Washington Post, takes us to the heart of a trade in shark flesh that has its roots in 11th-century China. Today, no Asian banquet is complete without a dish of shark fin soup that proclaims the high status of the celebrants and honors the guests. But given Asia’s huge population and growing wealth, the appetite for soup far outstrips the ocean’s ability to provide. Between 1996 and 2000, up to 73 million sharks were slaughtered worldwide every year to supply the trade in fins alone; that’s equivalent to the human population of California, Texas and Pennsylvania combined. Sharks reproduce slowly, some very slowly. with no more than a pup or two every other year. This means that overfishing is rapidly emptying the seas. As Eilperin concludes, most “sharks cannot be harvested sustainably because they cannot . . . offset these human-induced losses. A sustainable shark fishery is as unrealistic as reasonable bald eagle hunting. If sharks and people are to coexist, we must urgently rethink our relationships with them. There are signs of hope amid the carnage. Hawaii has banned shark finning, while Palau and the Maldives have stopped fishing sharks altogether. But fisheries on the high seas continue unabated. Eilperin is an unobtrusive and balanced guide. She has a deft hand with cameo descriptions of the people she meets on her travels and can sketch a scene with a few choice words. She draws the reader along easily in a tale rich in color and character. Underwater she dives with whale sharks in Mexico, great whites in South Africa, black tips in Belize and lemon sharks in the Bahamas. In the process she meets those most passionate about these beasts, from scientists and conservationists to fin traders, big game hunters and the shark callers of New Guinea who in a timeworn tradition lure sharks to their flimsy canoes with coconut shell rattles. Whether they are killers or protectors, she tells their stories with fairness and understanding. I forgot the time as I immersed myself in the world of sharks. Whether you’ve never read a book about sharks or have a shelf full of them, this is a book for you. Forecasting the state of the sea is important for shipping, offshore and coastal engineering, management of coastal zones and tourism. This is set to become easier through ESA's GlobWave project, which offers a one-stop shop for satellite data on ocean waves. Safety and financial losses associated with rough seas are a real concern. Ocean waves slow down the passage of ships, endanger marine industries such as oil and gas extraction, damage aquaculture and offshore wind farms, and erode coastlines. 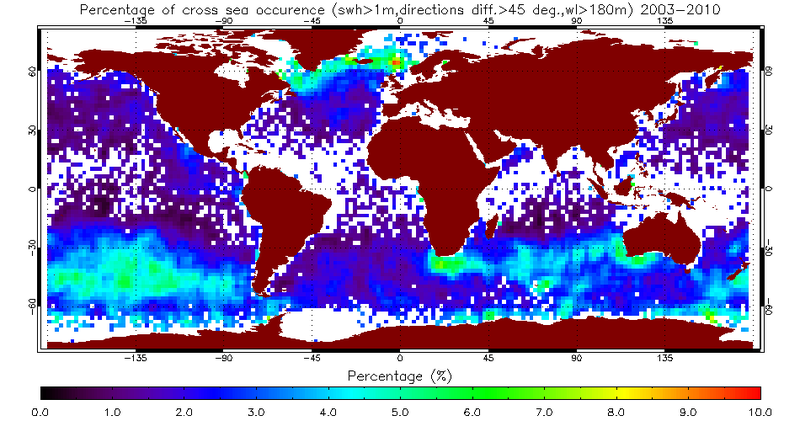 Satellite radar altimeters also provide information on a range of geophysical information such as sea-surface height, from which ocean circulation can be derived. To date, there have been around a dozen such instruments in orbit. 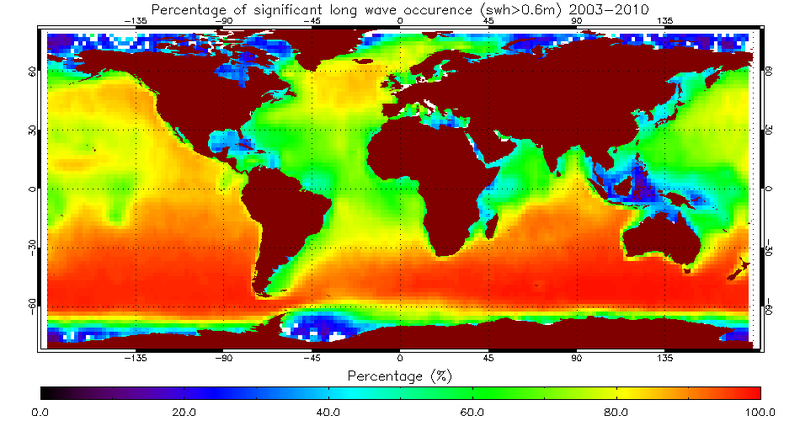 Through the GlobWave project, data on waves have been consolidated from 11 different satellite instruments that have been in orbit since 1985. This dataset, which is suitable for scientific research, is available at no charge. It is in a common format, quality controlled and available though a single web portal. Dr Andy Saulter from the Met Office in the UK uses GlobWave data to check the Met Office's wave forecasts. "As a provider of global operational wave forecasts, the Met Office places a very high value on any observation sources that reliably provide a baseline against which we can validate our predictive models. "The role played by GlobWave in providing a one-stop shop for data from multiple satellite missions, ensuring quality standards in the data and generating regular verification reports demonstrates an excellent step forward in the provision of satellite-based observations. This should allow us to exploit such data readily and with confidence in the future." Dr Fabrice Collard from CLS in France has recently developed a way of analysing 'cross seas' by making use of the unique data SAR can provide on wave direction. Cross seas occur when two sets of waves travelling from different directions cross at an angle of 45° or more. Users of GlobWave data will have a chance to discuss their results and give first-hand feedback to the project team during the next GlobWave User Consultation at the National Maritime College of Ireland on 5–6 October 2011. The GlobWave project is co-funded by ESA and CNES. It is implemented by a consortium led by Logica (UK), and includes Ifremer (FR), CLS (FR), SatOC (UK), and the National Oceanography Centre Southampton (UK). it causes the moon to look very unusual for a short period of time. This event is called a lunar eclipse, and it occurs roughly twice a year. 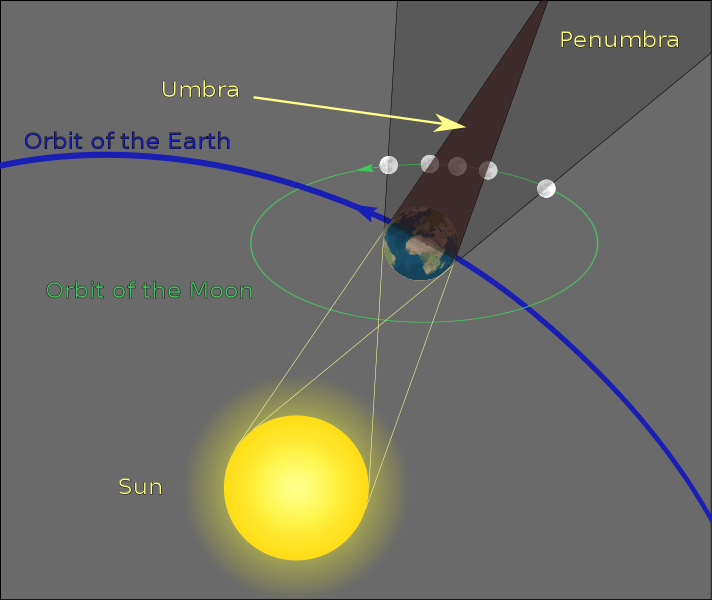 so sit back and learn more about how lunar eclipses work in this video! The longest lunar eclipse in more than a decade turned the moon blood red on Thursday, giving stargazers around the world a rare visual treat. The first eclipse of the year -- when the Earth casts its shadow over the Moon -- was seen in parts of Europe, Africa, Asia and Australia. Often the moon turns brown but this time it became a reddish, coppery-colour, tinged by light from the Sun. The terrestrial shadow started to fall at 1724 GMT and lifted around 2300 GMT, although "totality" -- when the lunar face is completely covered -- lasted 100 minutes -- the longest since July 2000. While keen astronomers in parts of Australia had to contend with dense cloud cover and rain, others had a clearer view of the spectacle. Around 130 people watched at the Sydney Observatory, with one woman dressed as a vampire. "There was (also) a child dressed very elegantly as if she was from another century, and a little boy dressed up as a red superhuman," Sydney Observatory manager Toner Stevenson told reporters. Professor Fred Watson, astronomer-in-charge at the Australian Astronomical Observatory, said the best view would have been from the moon itself. "If you could watch the phenomena, you would see the earth moving across the sun and it creating a brilliant red rim around the earth," he said. In Singapore, over 700 people gathered outside a local science centre to watch, local daily the Straits Times reported. Some avid enthusiasts staked out spots more than four hours before the phenomenon occured with the centre organising astronomy talks and movie screenings to entertain the audience. There were similar scenes in the Philippine capital Manila where hundreds of amateur and professional astronomers converged before dawn to catch a glimpse. With blankets and flasks of coffee, the stargazers were treated to clear skies and pleasant weather. "I will never get tired of watching these events," said Maximo Sacro, 67, the retired curator of the National Museum Planetarium who dusted off his 300-mm lens to capture the image. "The moon's entry into the earth's shadow was right smack in the middle, it was just perfect. It was very rare and the duration was long." The eclipse was widely seen across India with crowds gathered at the country's leading planetarium in the capital New Delhi. The Nehru planetarium organised an overnight "moon carnival" to familiarise visitors, setting up special viewing telescopes. But traditionalists were not as enthusiastic about the planetary changes, with authorities at several Indian temples reportedly shutting their doors to protect them from the supposed "evil effects" of the eclipse. While the phenomenon could not be seen everywhere in the world, including the United States, space lovers still got a chance to see it unfold with Google teaming up with Slooh.com. Slooh accesses telescopes around the world and Google live streamed the event, including audio narrations from astronomers. There will be partial solar eclipses on July 1 and November 25, but the next total solar eclipse will not take place until November 13, 2012. It will run in a track across North Australia, New Zealand, the South Pacific and southerly South America. The world needs to farm more fish and algae to meet the world's growing demand for animal products, according to a report released on Tuesday by international NGO Conservation International ('Blue frontiers', managing the environmental costs of aquaculture). The worldwide assessment concluded the environmental impact of aquaculture is lower than raising cattle, pigs or poultry so it should be expanded to alleviate the growing global food crisis. "Aquaculture is most likely to meet the growing demand for animal products with the least demand on ecosystems," said Sebastian Troëng of Conservation International. "It would be better still if more people became vegetarian, but that looks unlikely." The report was co-written with the WorldFish Centre – which advocates sustainable aquaculture – as a response to the precipitous decline in word fish stocks. The United Nations Food and Agriculture Organisation estimates that over 84% of the world's fisheries are either depleted, over- or fully exploited, which means that wild fish in oceans are too weak to meet the growing needs of an expanding, increasingly affluent global population. Fish farming in ponds, lakes, rivers and coastal waters is increasingly used to fill the gap – it is overtake wild-caught fish produce this year – particularly in Asia. The world's most crowded continent accounts for 91% of aquacultural production with the vast majority – about two-thirds – in China. This trend is expected to continue. "China, India and the rest of Asia with their growing middle classes are where we can expect demand for fish to rise most significantly," said co-author Mike Phillips, a senior scientist at WorldFish. "Current trends indicate that the majority of the increase in global production will come from south and south-east Asia, with a continued drive by major producers such as China and Vietnam towards export to Europe and north America." The report says fish farming can have environmental benefits if done sustainably. Fish process energy more efficiently than mammals such as cows and pigs because they are cold-blooded (so less calories are needed for warming themselves) and live in water (so relatively more of the body converts to muscle than bone). The authors say that for each kilogram of protein from beef, a cow needs to be fed the equivalent of 61kg of grain, for pork, a pig needs 38kg, but for fish it is just 13kg of grain. In addition, says the report, aquaculture emits less phosophorous, nitrogen and greenhouse gases than livestock farms. However, it warns farming can have a greater negative impact if it focuses on carnivorous fish such as eel and salmon, or on shrimps and prawns, which require more temperature control. There is a lower impact from herbivorous fish, or better still seaweed, mussels, oysters and molluscs. Fish farms have also been blamed for pollution and genetic contamination of wild stocks. The report says 73% of salmon, 90% of carp and 99% of seaweed consumed worldwide is produced with aquaculture. The authors predict worldwide production will rise from 52.6m tonnes in 2008 to between 79m and 110m tonnes by 2030. However, environmental constraints could slow growth in China due to shortages of land and water and increased competition for energy and feed. To improve the industry, they suggest greater monitoring, technological innovation and policy support. Mass production of microalgae – which is thought to be approaching commercial stage – is thought to have enormous potential for efficiency gains because it could replace fish feed and fish oil. When America's Cup sailors said their fast new catamarans were cutting-edge and exciting, they were factoring in inevitable capsizes. Monday afternoon on breezy San Francisco Bay, it was no less than one of the most dominant skippers in America's Cup history, Russell Coutts, whose 45-foot catamaran went head-over-heels in a spectacular wipeout. Grinder Shannon Falcone was thrown through the wing sail and into the chilly water, and another crewman was thrown into the water. Falcone was examined by paramedics on the dock and taken to the hospital for precautionary X-rays. Sailors wear crash helmets and foul-weather gear when sailing the speedy boats. Coutts, the CEO of defending champion Oracle Racing, was racing skipper Jimmy Spithill as part of a media day to publicize the U.S. debut of the new boats. His boat was bearing away during the prestart maneuver when the bows buried in a wave and the cat lifted into the air and went over before coming to rest on its side. The catamaran was pulled upright by a support boat. Coutts almost capsized on Friday, the second day of Oracle's first testing session in the new cats on San Francisco Bay. The AC45s debuted earlier this year in New Zealand, where two capsized. The AC45s will be used for the AC World Series this year and next. The 2013 America's Cup will be sailed in 72-footers, which will be faster and more powerful. Sailors have known that getting up to speed in the new catamarans is going to be tricky and possibly dangerous. Coutts, a four-time America's Cup winner, was prophetic when he and Spithill spoke at a news conference earlier in the day about the risk-reward of sailing the cats. "They're very demanding but also incredibly exciting," said Spithill, a 31-year-old Australian who is the youngest skipper to win the America's Cup. Said Coutts, a 49-year-old New Zealander: "Sometimes it helps to be a little younger, you know. You've got to get to the point of finding the edge and not going over the edge, and sometimes you're going to go over the edge. That applies not only in a sailing sense -- we're challenged as sailors like never before, probably, in these boats -- but in the design sense. These guys will tell you, that's one of the big considerations in the 72. Because the closer you design it to the edge, the faster it will go. But you don't want to go over the edge. Or preferably not over the edge." After sailing a monstrous, space-age trimaran to defeat Alinghi of Switzerland in 2010 to win the oldest trophy in international sports, Oracle -- owned by software billionaire Larry Ellison -- decided to contest the next America's Cup in catamarans on shorter courses to make the sport more TV-friendly. The cats replace the plodding monohulls that were used from 1992-2007. "It's a complete change," Spithill said. "I think if you ask the average person about America's Cup, they think of guys sitting on the side of a monohull yacht, a heavy displacement yacht, going quite slowly around the course. These boats are the complete opposite. Everyone is wearing helmets for a reason. There's a significant amount of risk. They're probably one of the most athletic boats I've seen for the crew to sail. There's also a huge reward for sailing them well. They're the fastest boats out there at the moment. To get the best out of these boats, you have to push." The Oracle sailors joked about having an "old guy boat" and a "young guy boat." "We're trying to get comfortable with these boats. It's hard to teach an old dog new tricks and I can tell you, I'm not sure if I'll ever get comfortable with these boats," Coutts said. "Anyway, I'm giving it a go. Basically, Jimmy and the guys are way better than we are in our boat right now. I'm pretty sure Jimmy and J.K. (tactician John Kostecki) get amused when we screw up. They had grins all over their face the other day when we almost capsized. Jimmy actually said to me, 'It's a pity you didn't capsize.' I don't know. we'll be certainly duking it out and trying to beat the hell out of each other just to try and get these guys ready to go and race the cup." Kostecki grew up sailing in the Bay Area. "If these things are that much fun, the 72s are going to be wild," Kostecki said. The combination of the fast catamarans and San Francisco Bay is sure to be spectacular. The bay provides a natural amphitheater, ringed with famous landmarks like the Golden Gate Bridge, Alcatraz Island, the Transamerica Pyramid and Coit Tower. Team members said Monday that they planned to conduct practice runs all that week from 1:30 to 3:30 in the afternoon. Tales of missing maritime vessels and rumors of drifting, crewless ships have long colored the popular imagination when it comes to legends of the high seas. Certain locations have become synonymous with unexplained disappearances and for intrepid sailors with a taste for the paranormal, these places can hold a spookily magnetic appeal. So if you fancy a sailing holiday with a supernatural slant, you'll need to know where the fiction ends and the facts begin. To help you along your way we delve deep into some of the world's most mysterious waters. The vast triangular area of ocean with imaginary points in Bermuda, Florida and Puerto Rico -- popularly known as the "Bermuda Triangle" -- has long been associated with mysterious disappearances, paranormal activity and even fissures in the fabric of space itself. Interest in the region began after a group of military planes carrying 14 men inexplicably vanished somewhere off the coast of southern Florida in December 1945. Before losing radio contact, it's claimed the flight leader was heard saying: "We are entering white water, nothing seems right." Almost immediately afterwards, a further 13 crew-members -- dispatched as a flying search party -- themselves vanished. Neither group's remains were ever discovered and the Bermuda Triangle legend was born. Numerous further disappearances, including a large oil tanker, a pleasure yacht and a small passenger plane were attributed to the area's paranormal forces. A raft of books, like "The Devil's Triangle," "Limbo of the Lost," and "The Riddle of the Bermuda Triangle" all contained supernatural explanations -- from UFOs to "wormholes" to technology left over from the mythical lost continent of Atlantis. However, in later years, skeptics have argued that the number of ships and aircraft reported missing in the area is, statistically, no more significant than in any other part of the ocean. Indeed, the area is today one of the most heavily traveled shipping lanes in the world, and most appear to get by without so much as dipping oar into another dimension. Next door to the Bermuda Triangle, and stretching far out into the Atlantic Ocean, is the eerily calm Sargasso Sea. Despite sitting in the middle of the otherwise freezing Atlantic, the water in the Sargasso is warm and embroidered with sargassum -- the dense seaweed from which it gets its name. The area has an intriguing reputation for robbing sail boats of their crew, leaving nothing but empty, wandering vessels. Among its victims was the tall-mast ship "Rosalie," which sailed through the area in 1840, but was subsequently found drifting and derelict with her sails set and no crew on board. Grisly 19th-century paintings show sailing vessels being devoured by monstrous weeds, and the area has featured in books by Jules Verne, among others. But the mystery of the Sargasso is no longer much of a mystery. Surrounded by some of the strongest surface-water currents in the world, the "sea within a sea," as it is known, is effectively cordoned off from the rest of the Atlantic. This isolation gives the region its uncharacteristic temperature and surprising tranquility -- causing wind-powered sail boats to come to an absolute standstill and creating all the ingredients for a nautical fairy tale. The "Devil's Sea," also known as the "Dragon's Triangle," is a region in the Pacific roughly located around the Japanese island of Miyake, about 100 kilometers south of Tokyo. Ancient legends tell of dragons that lived off the coast of Japan, bequeathing the region its nickname. According to author Charles Berlitz, Japan lost five military vessels -- as well 100 scientists studying the region -- in the space of just two years between 1952 and 1954. Like the Bermuda Triangle, the region was included in a 1972 article by naturalist and paranormal expert Ivan Sanderson, titled "The 12 Devil's Graveyards Around the World." The "Vile Vortices," as they are otherwise known, all occupy the same latitudes south and north of the equator and are said to be hotspots for peculiar physical anomalies and unexplained phenomena often attributed to electro-magnetic aberrations. Sanderson hypothesized that hot and cold currents crossing these vortices might create electromagnetic disturbances affecting instruments and vessels, in turn causing ships' disappearances. However, while much mystery around the area may remain, American author and pilot Larry Kusche has long-since debunked many of the claims made by Berlitz and others. Lake Michigan, in the United States, has been the site of countless sightings of strange objects and phantom planes. According to marine historian Dwight Bower in his book "Strange Adventures of the Great Lakes" the Michigan Triangle legend was born in 1937, when Captain George Donner unaccountably vanished from his freighter cabin during a routine coal delivery. Having given strict instructions to be woken from his bed as the ship drew into port, Donner was nowhere to be found three hours later -- despite his cabin door being locked from the inside. Thirteen years later, Northwest Airlines Flight 2501 -- carrying 55 passengers and three crew -- left New York City for Minneapolis, only to seemingly evaporate from thin air as it passed over the Michigan Triangle. The wreckage has never been discovered, despite being the subject of an annual search by the Michigan Shipwreck Research Associates, and investigations still continue in trying to explain the incident. So, for sailors in search of a real close encounter, it could well be that Lake Michigan is, in fact, the best place for a creepy cruise. Nautical chart of Zwaanendael ("Swanendael") and Godyn's Bay in New Netherland. Zwaanendael was a patroonship founded by Samuel Godyn, a director of the Dutch West India Company, in 1629. Godyn made his land claim to the West India Company under jurisdiction of the Charter of Freedoms and Exemptions. After a short time, the initial 32 inhabitants were murdered by local Indians and Godyn sold his land back to the West India Company. The West India Company kept the names of the local area, including Godyn's Bay, which eventually became Delaware Bay.